This 30mw laser is exactly what I needed. Small enough to carry everywhere. More importantly, it is very practical for my daily job. I purchased three laser pointers, but one of them dead when arrived, htpow.com team resolved the issue in timely, they reshipped a new item for me, thanks a lot for your service. I intend to order another 300mw laser pointer next month. What a wonderful product! So beautiful and bright! I'm satisfied with it extremely! You deserve it! 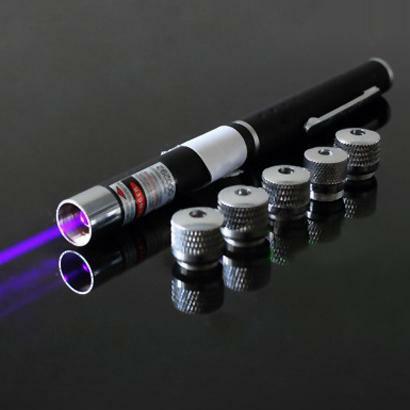 This is the first blue-violet laser pointer I've had, and also the first one with a kaleidoscope tip option. I have to say, this thing is great! Very high quality, and the laser without the kaleidoscope is VERY bright, even with all the lights on.